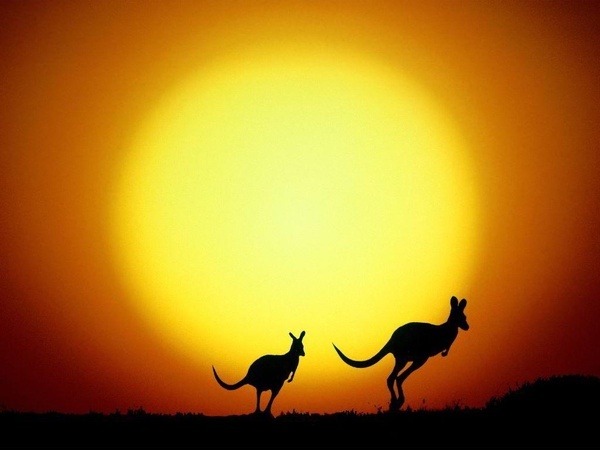 Inside the 2,941,300 miles that make up Australia’s assorted ecosystem, you’ll discover snow-capped mountains, a semi-arid desert known as the “Outback” and a subtropical rainforest. 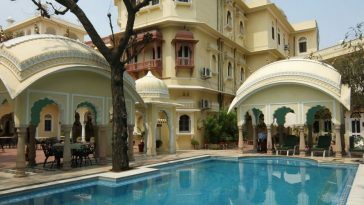 This distinctiveness translates into an array of beautiful landscapes, sites and attractions that will please even the most discerning and well-heeled traveler. While planning the itinerary for your next Australian adventure, place all of these breathtaking natural wonders high on your list! 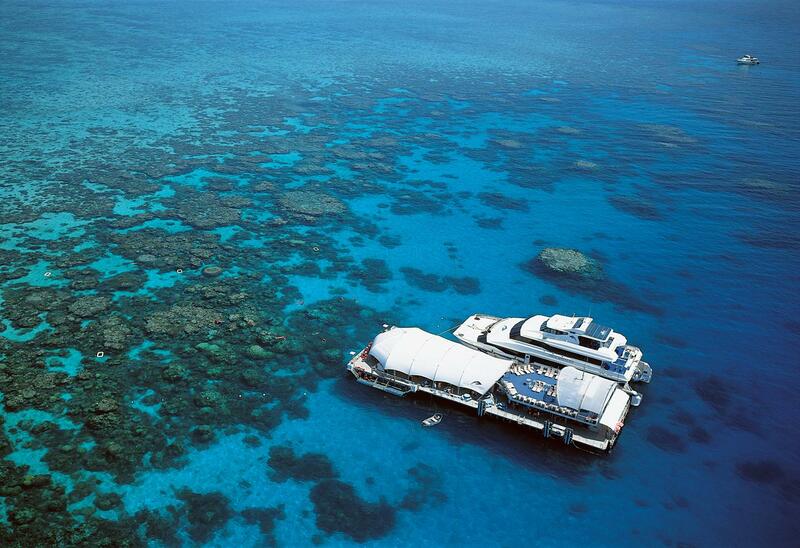 Experiencing the Great Barrier Reef is on many people’s bucket list. The Reef lies approximately 200 miles off the coast of Queensland and stretches nearly 1800 miles from the Bundaberg and past the tip of Cape York. 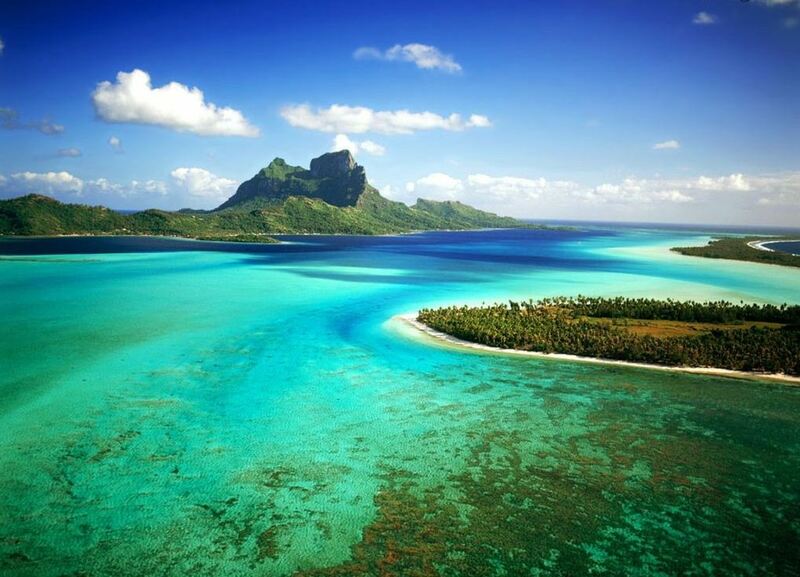 The Reef boasts over 400 different varieties of coral and 900 islands. Over 30 different species of porpoises, whales and dolphins call the barrier home, as do over six species of sea turtles and 215 species of birds. These facts and figures are all staggering, but to have a truly personal experience with the reef, you need to throw on scuba gear, dive off the boat and take in your surroundings. Thousands of tourists visit the reef year-round, but don’t let this fact discourage you from exploring it. Plan ahead to secure your spot on one of the over 1500 aircrafts and vessels and 820 operators permitted to travel in and around Great Barrier Reef Marine Park. Uluru is a natural sandstone mountain that rises 1,142 feet into the air and is one of Australia’s most well-known and photographed landmarks. The Aboriginal people have several origin stories to explain the fissures and scars on this strange monolith in the desert. One tale is centered on two groups of serpentine animals fighting and scarring the rock. 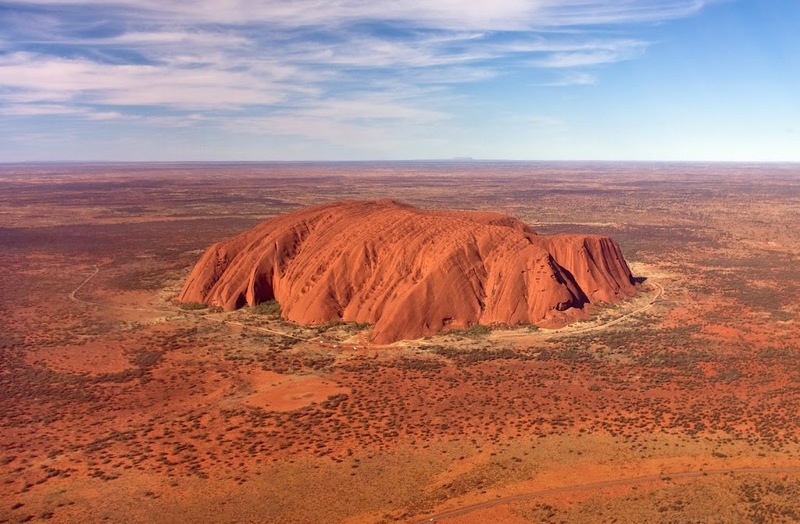 Uluru is a sacred site and should be treated with respect according to the laws and considerations of the Anangu people. Feel free to explore the flora and over 46 species of native fauna that inhabit the area, including the Common Bushtail Possum, Black-flanked Rock-wallaby and Malleefowl. Climbing Uluru is a controversial topic. Although it’s not prohibited by law, the Anangu people prefer people respect this sacred site and explore it from either the ground or by aircraft. Kakadu National Park has the unique distinction of being hosted by both the Aboriginal people and Director of National Parks. The site is over 7,646 square miles, making it nearly half the size of Switzerland. The parks features four major rivers, 280 species of birds, 1600 species of plants, 60 mammal species and over 10,000 various insect species. 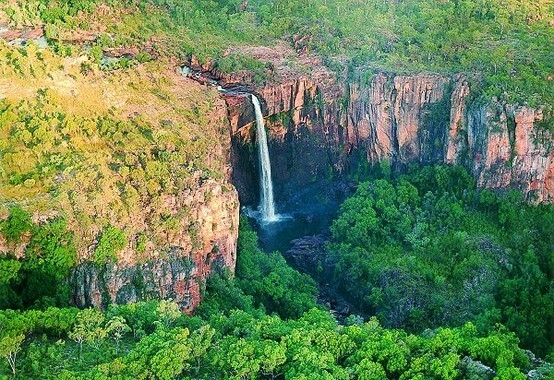 Found in Northern Australia, Kakadu National Park is a major tourist attraction, visited by over 200,000 people each year. When you’re finished exploring the natural wonders the park has to offer, take your children to visit the site’s internationally recognized collection of Aboriginal rock art. The art depicts scenes of religious significance and whimsy alike. Upon entering the park you’ll purchase a $25 one-day pass for any visitors 16 and over. This fee includes a basic campsite, without access to shower and toilet facilities. Visiting Bungle Bungle National Park’s, one of Australia’s most notable attractions, is a sight no tourist should miss; although accessing the park can be treacherous. 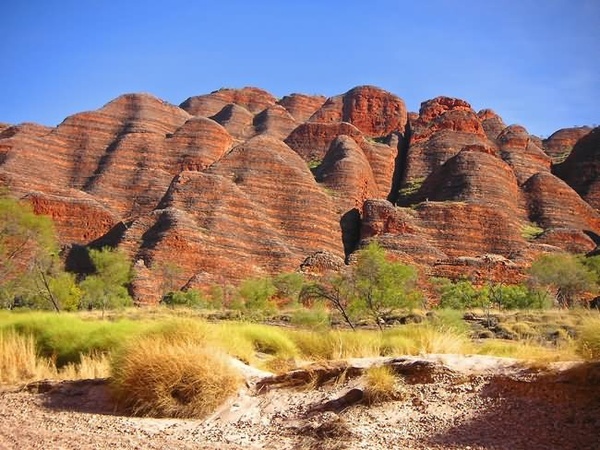 Bungle Bungle, which most locals and tourists refer to simply as “Bungle Bungle,” is located in the rugged terrain of Western Australia’s Kimberly region. The large black and orange-striped rock formations that rise 984 feet out of the Piccaninny Gorge are a source of eerie fascination. When viewed at sunset, the sandstone formation takes on a strange glow, which is only accessed after a daunting hike or bumpy four-wheeler ride across harsh terrain. It’s possible to view the sandstone formations and the rest of Bungle Bungle’s sites, by aircraft as well. Natural history filmmaker David Attenborough once described the Horizontal Waterfalls as “one of the greatest natural wonders of the world.” Found in Buccaneer Archipelago, the waterfall is actually the result of white water tidal movements banking off narrow cliff passages. During slack water, which is the short period of time when the water’s depth can be measured using tide tables or atlases, it’s possible to travel through the narrow cliffs by boat. If you’re not willing (or able) to wait, the best way to view this incredible phenomenon is by aircraft. 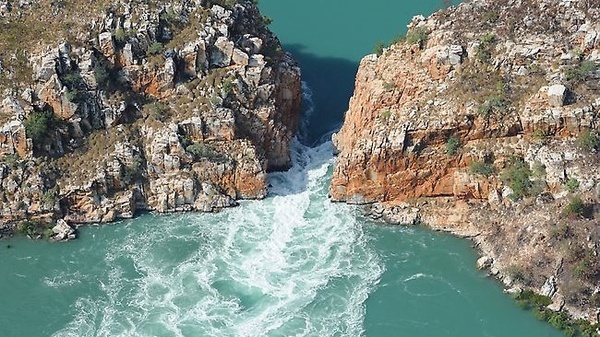 Daily aircraft tours of Horizontal Falls are available beginning in the nearby towns of Broome and Derby. While visiting any of these incredible examples of Mother Nature’s beauty, remember to respect the native people’s beliefs and traditions. For instance, many locals believe it’s a curse to remove rocks from the stone formations of Ayres Rock, and doing so leads to heartache and misfortune. There are several reports of tourists mailing the rocks back to the site based on this belief. This guest post article was written and provided by Erica Gustafson who currently resides in Australia. Erica works as a freelance digital media consultant, and enjoys traveling the world and writing about her experiences. Bungle Bungle is one of my favorite spots on Earth.